If you currently manage your own web site or ad campaigns, you probably often thinks about the differences between PPC and SEO. How can these two very different forms of advertising and optimization improve your web site listings and overall business. 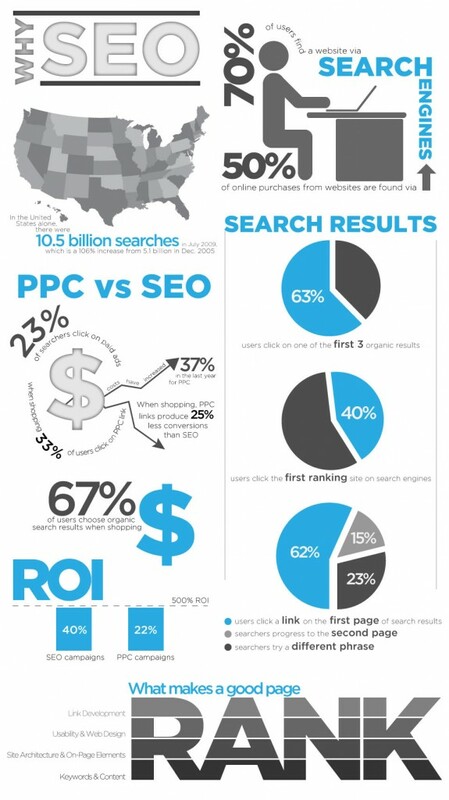 The infographic below is quite useful in providing some great comparison stats between PPC and SEO. If you like statistics, this is definitely the infographic for you! Share your comment 1 responseTO PPC vs. SEO – Why You Need SEO.